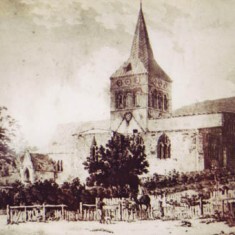 Engraving of All Saints Church from Park Hill, second half 19th century. 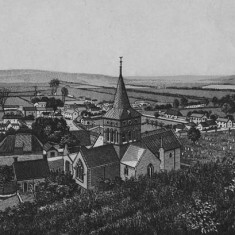 All Saints Church seen from Park Hill in an engraving made in the second half of the 19th century. 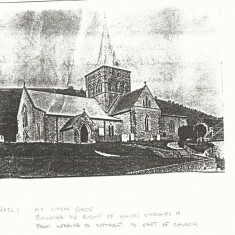 The house to the east of the church now appears to be smaller than in the previous etching. 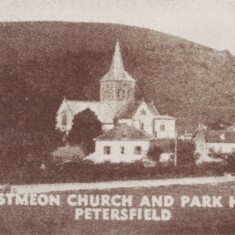 All Saints Church from Park Hill, 1930s? 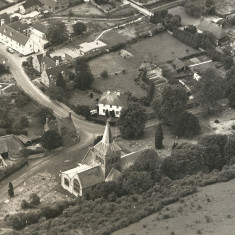 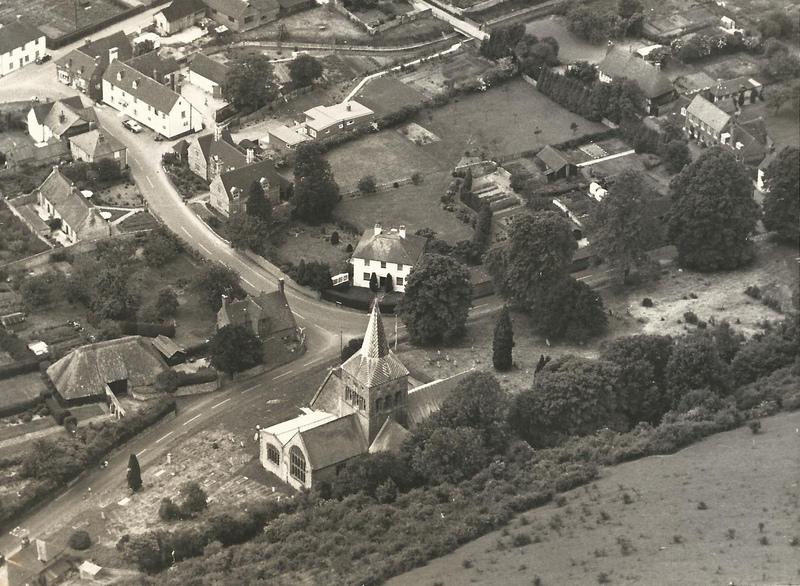 All Saints from Park Hill, before the new vicarage was built. 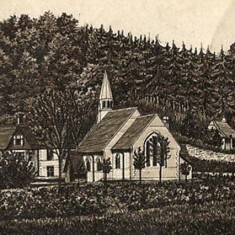 Langrish Church, from the same book of engravings as the featured image of All Saints. 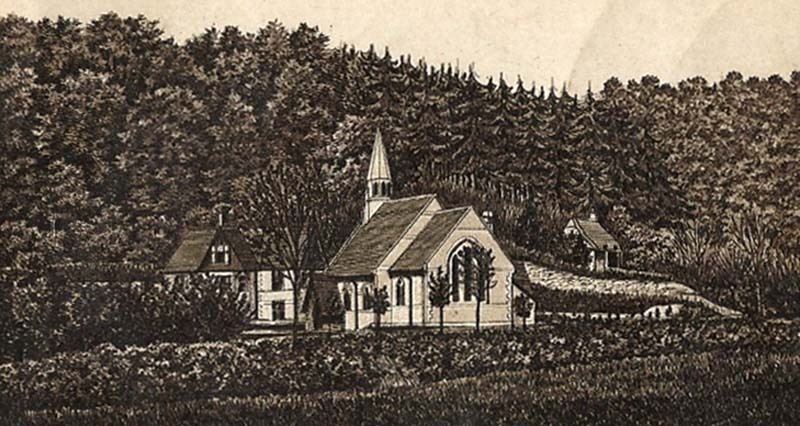 Privett Church from the same book of engravings. 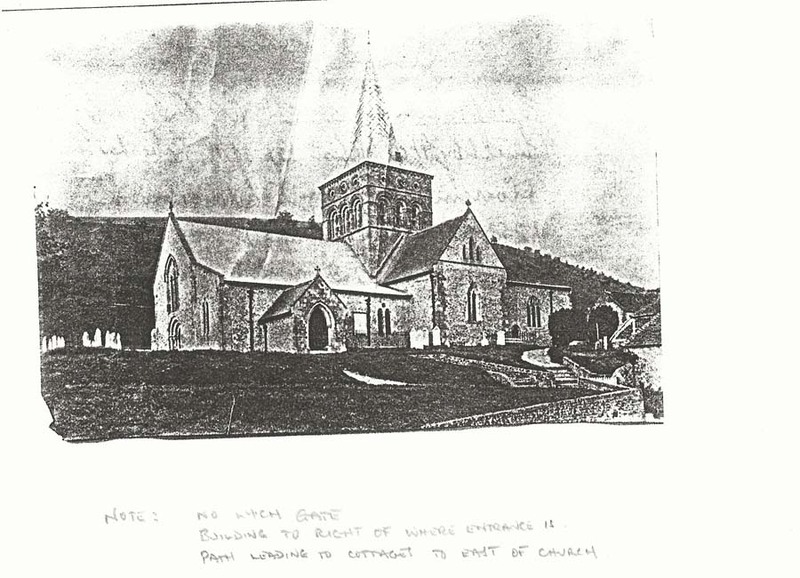 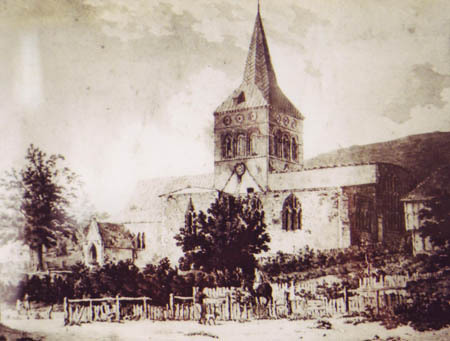 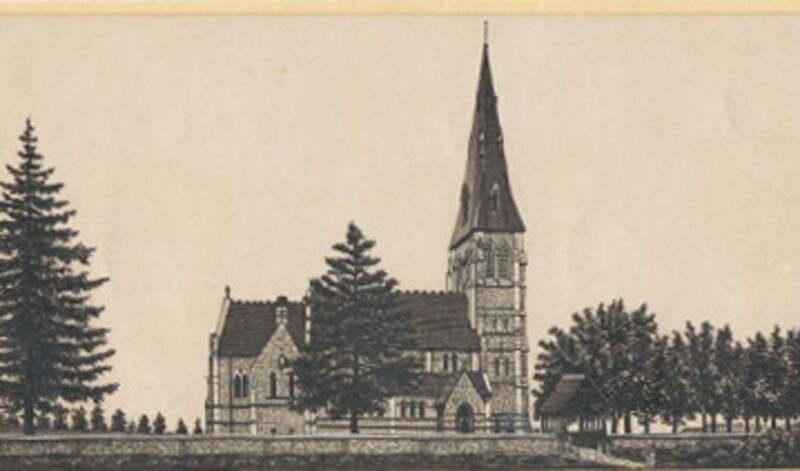 Various images of All Saints Church, mostly by unidentified creators. 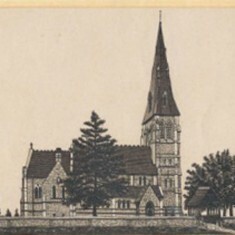 They are probably placed in chronological order; note the variations in the roof-lines of south transept and east and the building in the church yard. 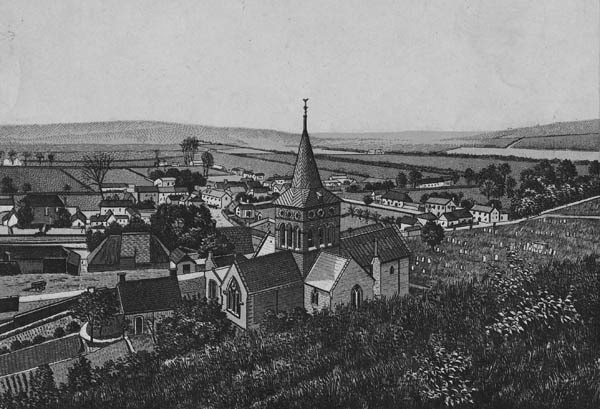 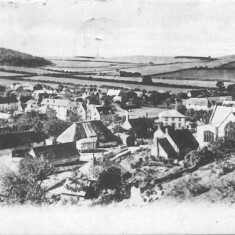 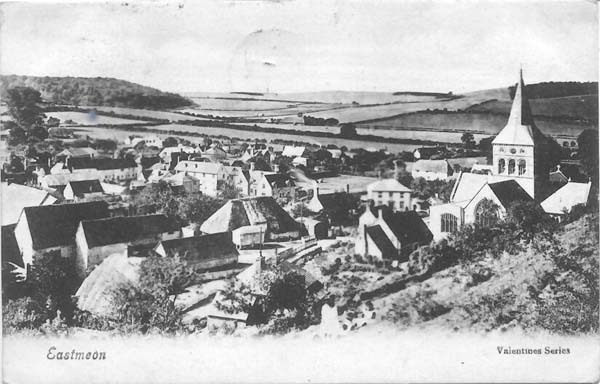 The featured image showing All Saints Church and the village from Park Hill is taken from a book of engravings found when Duncombe Cottage was being cleared after the departure of John Canning. 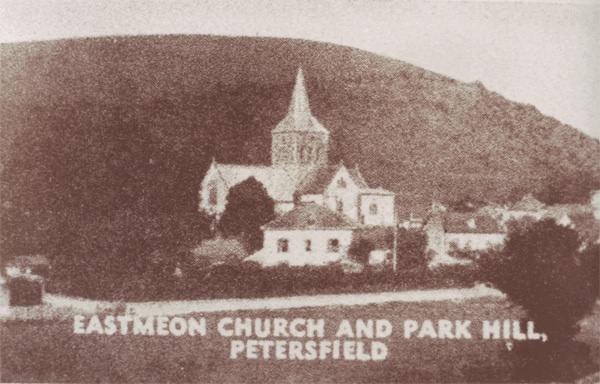 It is entitled Rock’s Royal Petersfield Album, published by H.Walbrook of London (Manufactured in Germany) and contains several engravings of Petersfield itself, with many local churches including Langrish, Buriton and Privett.